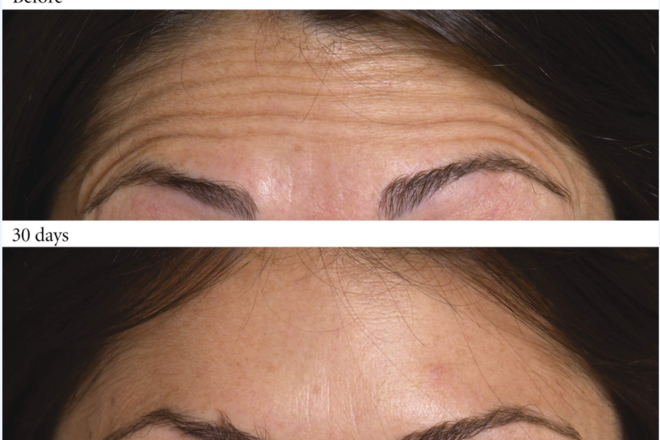 Wrinkle treatment with botulinum toxin (Vistabel_Botox_Dysport) is the most popular medical aesthetic treatment worldwide, as it combines minimum application time, dramatic improvement, natural and reversible results, at a reasonable price. 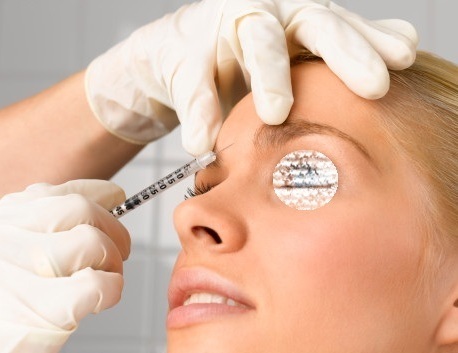 Botulinum toxin type A is a natural protein that temporarily inhibits the contractions of muscle fibers.This drug is used in clinical practice since the 1980s for the treatment of muscle and eye disorders, such as spastic paralysis and blepharospasm. Over time, its use for other applications such as the treatment of wrinkles and hyperhidrosis and the relief of persistent, chronic migraine, was discovered. 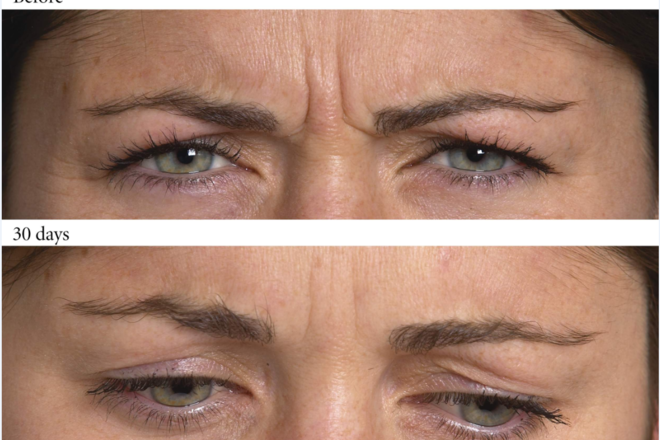 Repeated contractions of facial expression muscles create wrinkles in the skin, which over the years become permanent creases.Wrinkling of the glabella when frowning, of the forehead when lifting the eyebrows and wrinkles at the outer corner of the eyes known as “crow’s feet” are characteristic examples. Wrinkles cause a tired, sad or angry look. Your dermatologist can easily and safely smoothen these wrinkles, giving you a more relaxed and youthful appearance. Botulinum toxin is approved for the treatment of wrinkles in adults aged 18 to 65 years. For those who tend to form strong dynamic wrinkles it is advisable to start the treatment early, before the wrinkles become permanent. In this way, the formation of deep creases can be prevented. Static deep wrinkles are more difficult to be removed and usually require combination treatments with fractional laser and/or fillers. 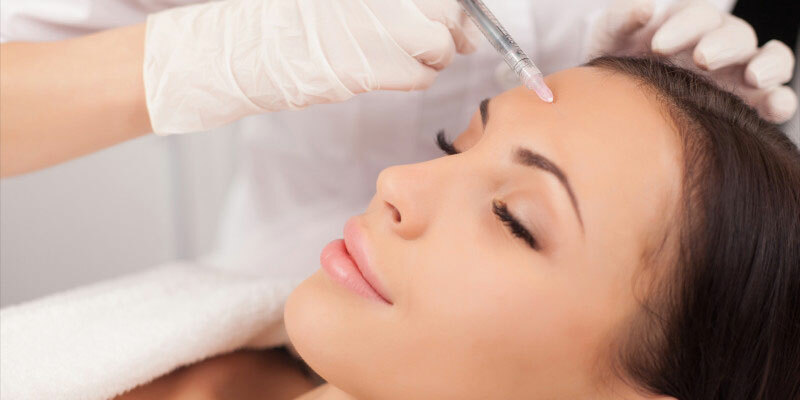 Botulinum toxin is an injectable treatment. Very small amounts of the drug are administered by a fine needle directly into the facial muscles responsible for creating wrinkles. The treating physician should be very experienced, with a solid knowledge of facial anatomy, in order to achieve natural results. The treatment takes only a few minutes and is well tolerated. No recovery time is required, one can directly return to her/his daily activities. The first results are visible about three days after the treatment, and the maximum effect is reached in about 10 to 14 days. The duration of the results varies from person to person and last usually about four months. If the treatment is not repeated again, the effect of the drug disappears and wrinkles reappear. However, it has been observed that with repeated treatments, the effect lasts longer. Dr. Athina Matekovits is highly trained and very experienced in conventional and advanced botulinum toxin applications. In our practice, each treatment is tailored to meet the specific needs of the person we treat. Our goal is to highlight the natural beauty of the face, respecting the harmony of features and expressions. We achieve this by using small amounts of concentrated active substance in the precise injection points required in each case.